When you think about plumbers, what comes to mind? Most people think about someone who can complete basic plumbing services such as a clogged drain or a small water leak. When it comes to your business, many people underestimate the importance of commercial plumbing services. If you are looking for a career, and not just a job, consider Oliver. We are looking for HVAC technicians, installers, plumbers, and electricians who are dedicated to providing top-notch customer service to join our team. We’ll be holding a hiring expo on May 30th, 2013 at the Hilton Philadelphia Airport and invite professionals in these fields to learn more about our company. If you are looking for a warm, family-friendly company to further your career, Oliver is a place you can call home. We’re currently looking to expand our HVAC contractor team at our two locations in southeastern PA and southern NJ, and invite you to register for our upcoming hiring expo, or to share this message with your friends and family who would be interested in an HVAC, Plumbing, or Electrical career with Oliver. TO REGISTER FOR THIS EVENT: Preregistration is required and space is limited! 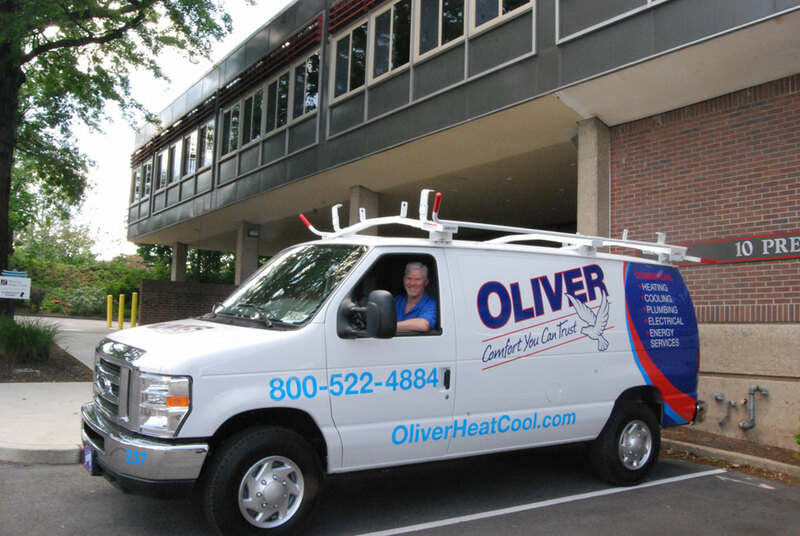 Call 610-946-1365 to speak to Lisa McIntyre or email lmcintyre@oliverhvac.com. Please specify whether you are interested in an HVAC, plumbing, or electrical career. Deadline for registration is 4:00 pm Tuesday, May 28th. Please bring an up-to-date copy of your resume and any licenses or certifications that you hold. This session is an orientation, potential candidates will be contacted after the expo to schedule a second interview.